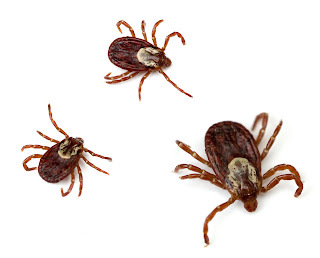 Missouri's Warm Winter Weather May Equal More Pesky Critters! We all the love the warm winter weather this year in Mid Missouri, but so do some other creatures ... namely pesky, unwanted bugs and other pests. You can take action now around your Lake of the Ozarks home to help keep unwanted "guests" out of your house. Here a short list to help you prepare now for the Spring! Ensure there is a one-inch gap between any soil and wood portions of your structure. Keep mulch at least 15 inches from your foundation. Seal any cracks a along the bottom of the house. Eliminate sources of moisture and standing water. Keep trees and other plants trimmed back from the house. Keep trash containers clean and sealed. Screen all windows and doors. These 7 easy tips will help keep Spring and Summer bugs at a minimum around your home! The Polar Plunge - One of the BIGGEST Annual Winter Events at Lake of the Ozarks! The Polar Plunge is the "Official Party of Winter" at Lake of the Ozarks! The Lake is a hot bed of activity during the winter months, and of our most popular events is the Polar Plunge to benefit Special Olympics. Whether you are "plunging" or not, this event is a great celebration and a very entertaining way to spend a winter afternoon and evening at Lake of the Ozarks! This "unbearable" event is a unique opportunity for individuals, businesses and organizations to support local Special Olympic athletes by jumping, diving or crawling into the sparkling, frigid waters of Lake of the Ozarks . Since its inception 17 years ago, 20,375 Missourians have taken the Plunge in lakes across the state, raising $4,115,708. 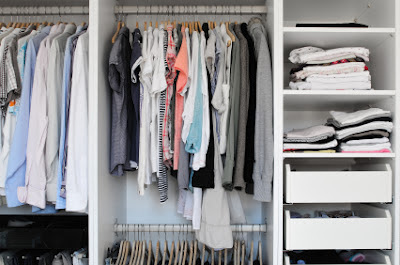 Get a handle on the chaos with these 6 steps to declutter your closet for good! These easy and low cost tips from Rubbermaid can make your closets functional, organized spaces - allowing you to find what you need, when you need it. Start by emptying EVERYTHING out of your closet. The general rule of thumb is to keep items you've worn or used in the past year and toss or donate everything else. Separate everything into piles by category: seasonal, keep, repair, donate and toss. This exercise is going to introduce you to storage space you never knew you had. 2. Plan Your Layout - Use every square inch of space and consider installing a closet organization system.Watch this short video from Lowes for useful tips on designing your space and planning your layout. New Construction at the Lake of the Ozarks! Take a moment to view this video of the new construction currently underway on the Shoppes at Eagles Landing! If you are planning a move to the Lake of the Ozarks, you should know that we have a thriving business community, with new business opening and existing business expanding, the economic future of the lake area is looking bright! The introduction of new businesses, especially national franchises to the lake area speaks the confidence these business people and corporations have that the Lake area has the population and consumer base to sustain year round operations. While business forecasts elsewhere may be down, the City of Osage Beach and microcosm of the Lake of the Ozarks seem prepared for many years of growth and stability, making the area a great choice for those looking for a vacation home, or seeking to relocate to an area with viable business options. Lake of the Ozarks Means Business! Lake of the Ozarks has an incredible climate for business and networking! 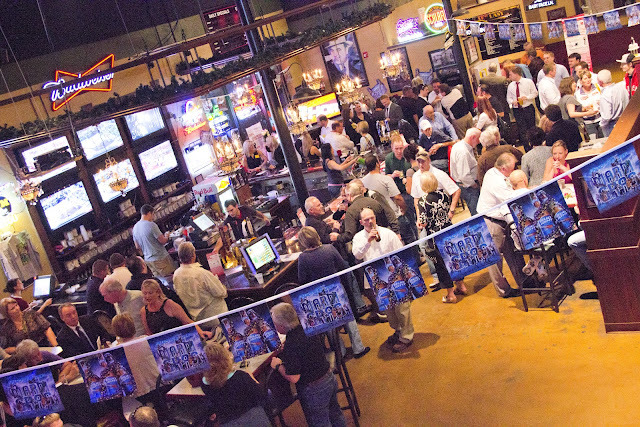 If you are planning a move to the Lake of the Ozarks, you should know that we have a thriving business community and there are more business networking opportunities at the Lake than you can imagine. Building trust and credibility with potential clients and customers should be a top goal for any business person, regardless of what business sector you operate in. If you are new to the community, it simply takes a little effort to get out and meet other business leaders to build visibility and credibility in the local area. Once you have it, the business will come. Fortunately, at the Lake of the Ozarks, there's plenty of opportunity to do this! So how do you get visibility for your business? Super Sharp Lake Home on Shawnee Bend! Super Sharp lake home on Shawnee Bend! Recently updated and totally furnished with 3 bedrooms 2 bath. Lower lever great room with fireplace, storage/workshop building, dock and lift setting on 122 lake front w/acreage tons of parking and room to build a garage makes this one a real keeper.